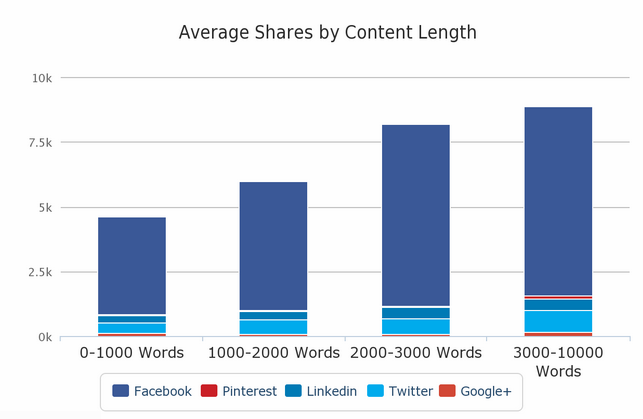 The Truth About Short vs. Long Blog Posts: Does Size Matter? From a reader’s standpoint, less is often best. Especially, if you get directly to the point. High-profile blogger, marketer, author and entrepreneur, Seth Godin, is an excellent example of someone who has proven with his blog, he can deliver real value. 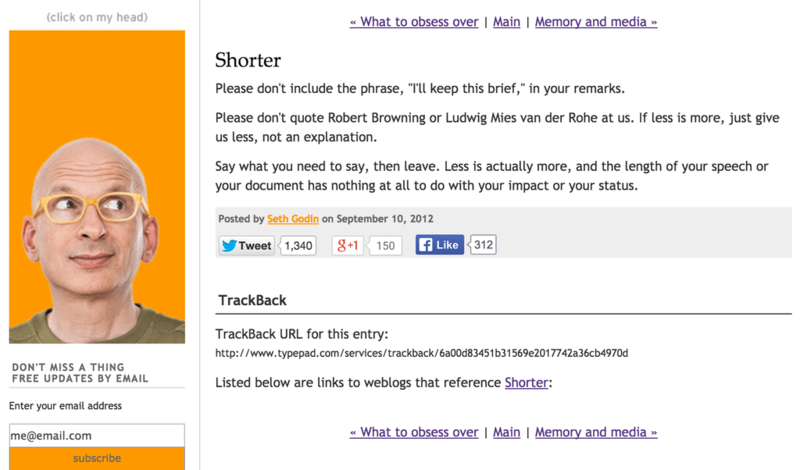 The majority of his blog posts are short, really short – less than 200 words in most cases. They match his audience, his style, his message, and his approach. They work. Don’t publish it unless it is good. 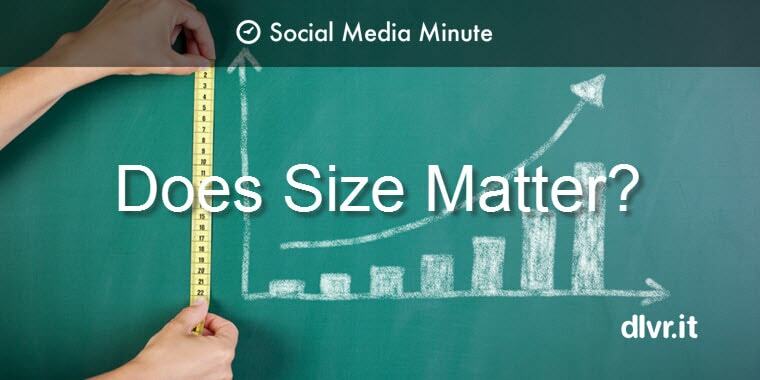 Less is actually more, and the length of your post has nothing at all to do with your impact or your status. Writing twice as long doesn’t increase communication, it usually decreases it. It makes you focus on ‘quality over quantity’ by avoiding filler content. It helps you ‘avoid silence’ on social media by keeping your blog regularly updated, especially when you find yourself strapped for time. It helps you to ‘stay in touch’ with your blog readers more often by showing them you care – sharing is caring. It provides something ‘quick and useful’ for your readers to read and digest. Infographics are an excellent tool for providing useful, visual and sometimes entertaining content. You don’t have to worry about trying to ‘keep your readers attention’ with short posts. They will finish the post before your audience has time to divert their attention. On the other side of the fence, there are lots of bloggers that believe, the meatier the post, the better. Why is meatier better? One simple reason could be that it is good, no actually great for SEO. From an older study still cited today, when SerpIQ analyzed high-ranking pages, they found more text correlates with high rankings. The image below shows the higher the Google SERP position, the more content the page has. Notice that every one of these first page results has content exceeding 2,000 words. 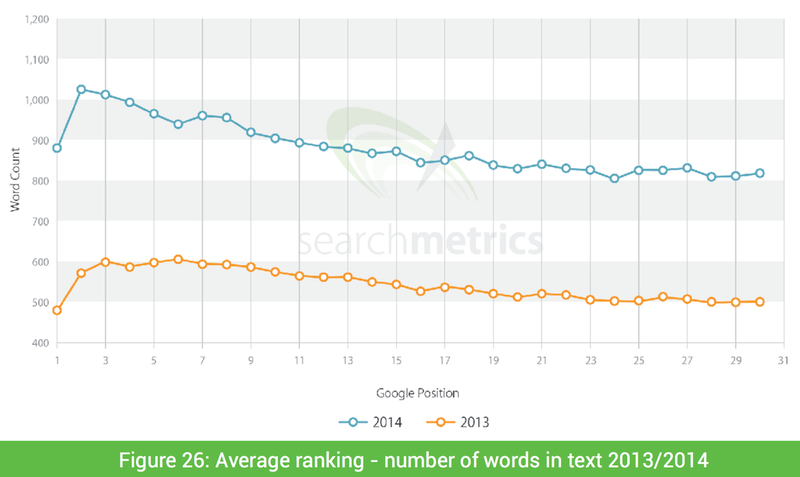 In the 2014 Ranking Factors Study report by Searchmetrics, it found that sites with more words in the copy occupied higher search ranking positions and that sites further down the SERPs have fewer words in their text. The Y-axis shows the average number of words; the X-axis shows the Google position. Let’s jump back to the original question. 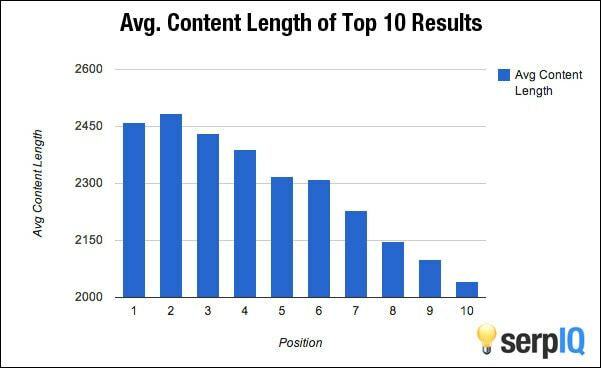 What is the ideal length of a blog post? We have learned that: Longer is not necessarily better. Shorter is not necessarily better. The real answer…it all depends on what you want your blog to accomplish. How long are your posts? Are you on the short end or the long end of the blog post word count spectrum? Plus, I tend to have the same “unsatisfying” answer when SMBs ask me certain questions during the course I teach: “it depends”. And this is the most responsible answer, because business (getting results) is not one-size-fits-all in any case. Thanks for this!